I'm a sucker for miniature versions of things- cupcakes, dogs, baby shoes and so on. Do you get that same gushy feeling?! 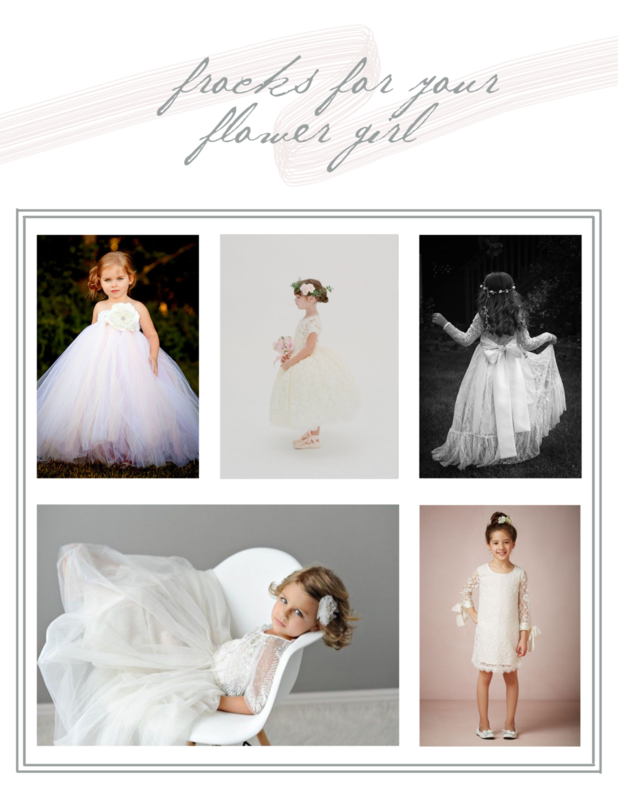 When it comes to picking out attire for the kiddos in the wedding party, there is nothing more fun than seeing the frills, lace, ribbons and poufs available for flower girls! These dresses are some of our current faves for that little lady, many of which are available on Etsy, believe it or not!